Table 1. Risk factors for viridans group streptococci (VGS) bacteremia per group. Table 2. Infection sites identified per viridans group streptococci (VGS) group. Table 3. Clinical outcomes in viridans group streptococci (VGS) group bacteremia. 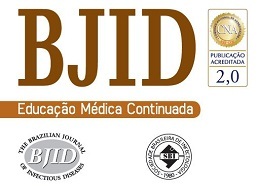 This study assessed the microbiology, clinical syndromes, and outcomes of oncologic patients with viridans group streptococci isolated from blood cultures between January 1st, 2013 and December 31st, 2016 in a referral hospital in Mexico using the Bruker MALDI Biotyper. Antimicrobial sensitivity was determined using BD Phoenix 100 according to CLSI M100 standards. Clinical information was obtained from medical records and descriptive analysis was performed. Forty-three patients were included, 22 females and 21 males, aged 42 ± 17 years. Twenty (46.5%) patients had hematological cancer and 23 (53.5%) a solid malignancy. The viridans group streptococci isolated were Streptococcus mitis, 20 (46.5%); Streptococcus anginosus, 14 (32.6%); Streptococcus sanguinis, 7 (16.3%); and Streptococcus salivarius, 2 (4.7%). The main risk factors were pyrimidine antagonist chemotherapy in 22 (51.2%) and neutropenia in 19 (44.2%) cases, respectively. Central line associated bloodstream infection was diagnosed in 18 (41.9%) cases. Septic shock occurred in 20.9% of patients, with an overall mortality of 18.6%. Only four S. mitis revealed penicillin-resistance. Our results are similar to those of other series, identifying these bacteria as emerging pathogens with significant morbidity and mortality in oncologic patients. The MALDI-TOF system increased the rate of viridans group streptococci isolation in this population. Viridans group streptococci (VGS) comprise five categories of microorganisms that are part of the human microbiome. They are usually found in oropharynx and in gastrointestinal and genitourinary tracts. These bacteria have been difficult to classify due to the variability and overlapping of their microbiological characteristics. They were originally named “viridans” (Latin for green) because they were α-hemolytic. However, their hemolysis is variable, as well as their Lancefield group (A, C, F, or G). Traditionally described as commensal bacteria, the virulence of VGS was considered to be low. However, VGS can become opportunistic pathogens under common circumstances in patients with cancer, such as neutropenia, antimicrobial prophylaxis with fluoroquinolones, mucosal barrier injury, and high-dose chemotherapy, especially with cytarabine.1 It is also important to consider that mortality due to VGS bacteremia ranges between 2 and 21%,2 mainly as a result of septic shock and acute respiratory distress syndrome. Due to the challenge in identification, their clinical manifestations, distant foci, and outcomes have scarcely been described for each of the five groups. The best-known group is that of Streptococcus anginosus, which has been identified in invasive infections such as deep-seated abscesses and endocarditis. In the S. anginosus group, several virulence factors have been described, but there is no similar description for the remaining groups. In the present study, we sought to describe the epidemiology, clinical syndromes, and outcomes of VGS bacteremia in a retrospective cohort of adult patients with cancer. The goal was to distinguish risk factors and clinical manifestations for each of the five VGS groups, identifying the antimicrobial susceptibility patterns in our setting. All patients from the Instituto Nacional de Cancerología (INCan) who had VGS isolated from blood between 01/01/2013 and 12/31/2016 were evaluated. INCan is a 135-bed cancer referral, teaching hospital for adult patients in Mexico City. Blood samples were cultured in BD BACTEC 9240 System™ (Becton Dickinson Microbiology Systems, USA), and plated on blood, chocolate and MacConkey agar using standard microbiological techniques. Isolated bacteria were identified using the Bruker Daltonics IVD MALDI Biotyper software package (version 2.2). The Brucker bacterial test standard (Bruker Daltonik) was used for calibration according to manufacturer’s instructions. Identification scores ≥2.000 indicated species-level identification, scores of 1.700–1.999 indicated genus-level identification, and scores of <1.700 were considered unreliable.3 Only microorganisms with scores ≥2 were included. Differentiation with S. pneumoniae was performed employing the optochin test. Antimicrobial resistance was determined in accordance with Clinical and Laboratory Standards Institute (CLSI) guidelines utilizing BD Phoenix™ 100 automated identification and susceptibility testing. Microbiological data was correlated with relevant clinical information from the patients’ medical electronic records and nursing files. A standardized database was constructed and descriptive analysis was conducted. Student t test or Wilcoxon non-parametric tests was used for continuous variables. For qualitative variables, Fisher and X2 tests were used as appropriate. During the study period from January 1, 2013 to December 31, 2016, a total of 10,417 blood cultures were drawn, among which, 1715 (16.5%) turned out positive. Of these, 44 blood cultures were positive for any VGS (2.6%), but only 43 patients were included, since two cultures were from a sole patient with persistent bacteremia. Twenty-two patients (51%) were female and 21 (49%), male. The mean age was 42 ± 17 years. Twenty (46.5%) patients had hematological malignancies and 23 (53.5%) a solid malignancy. The most frequent cancer was acute lymphoid leukemia (n = 11), followed by solid organ cancers of the digestive tract (n = 9). Six patients (13.9%) were obese, six (13.9%) had diabetes mellitus, and two (4.6%) had valvular heart disease. The most common VGS isolated were S. mitis, 20 (46.5%); S. sanguinis, seven (16.3%), and S. salivarius, two (4.7%). No S. mutans were found. S. anginosus were isolated in 14 (32.6%) patients. The most frequent risk factors related to bacteremia by a VGS were chemotherapy with pyrimidine antagonists (n = 22, 51.2%), severe neutropenia < 500 cell/mm3 (n = 19, 46.5%), and steroid use (n = 15, 34.9%). Among 13 patients who had neutrophil counts less than 100 cells/mm3 at diagnosis of bacteremia, nine were from the S. mitis group (69%). The risk factors identified in VGS are depicted in Table 1. Risk factors for viridans group streptococci (VGS) bacteremia per group. Pyrimidine antagonist chemotherapy includes cytarabine (n = 15), gemcitabine (n = 2), capecitabine (n = 2), and 5-fluorouracil (n = 3). S. salivarius is not shown in the table, but is included in this percentage, since the only risk factor found was neutropenia in both cases. The only significant differences between risk factors for S. mitis and non-mitis VGS bacteremia were the association of diabetes mellitus favoring non-mitis VGS with six patients vs. none in the S. mitis group (p = 0.01). For S. mitis bacteremia, the presence of hematological malignancy (p = 0.02) and treatment with pyrimidine antagonists (p = 0.02) were both statistically significant. The frequency of distant infection sites is presented in Table 2. Significant correlation between VGS group and infection site was only found between S. anginosus and abdominal abscesses (p = 0.01). Infection sites identified per viridans group streptococci (VGS) group. CLABSI, central-line associated bloodstream infection; HAP, healthcare associated pneumonia; MBI-LCBI, mucosal barrier injury-laboratory-confirmed bloodstream infection; CAP, community-acquired pneumonia; CNS, central nervous system; SSTI, skin and soft tissue infection. S. salivarius is not shown in the table, but one is included in the total count for CLABSI and one MBI-LCBI. The Central Venous Catheter (CVC) was removed in 15 of the 18 cases diagnosed with CLABSI. Thirteen catheter tips were cultured, and six (46.1%) were positive; in five (83.3%), the VGS matched the blood isolate. In the other positive catheter-tip culture only S. aureus was isolated. There were nine patients classified as CLABSI who were neutropenic; in three of these the CVC was not removed. One had a catheter-tip culture positive for S. salivarius and S. epidermidis, and the remaining five catheter-tips were negative. One of the patients with negative tip cultures had two major criteria for endocarditis and one minor criterion: persistent S. mitis bacteremia, new-onset heart murmur, and fever. Six patients were diagnosed with abdominal abscess (five liver abscesses and one rectal). Only two liver abscesses were drained and cultured. In one patient with S. anginosus bacteremia the abscess culture was positive for both, S. anginosus and S. constellatus. In the remaining patients, the cultures were discordant, because S. parasanguinis was isolated from the abscess and S. constellatus from the blood sample. There was a patient with S. constellatus bacteremia and a rectal abscess (that was not cultured), in whom S. constellatus was isolated from the cerebrospinal fluid. The clinical outcomes for the VGS group isolated are described in Table 3, excluding S. salivarius, since none of the cases had an adverse outcome. No statistically significant differences in outcomes were found between mitis and non-mitis VGS. Clinical outcomes in viridans group streptococci (VGS) group bacteremia. Only the S. mitis group showed penicillin resistance (n = 4, 20%): three patients had received a β-lactam antimicrobial in the previous 30 days. Erythromycin and trimethoprim-sulfamethoxazole resistance was found in seven (35%) cases each. Clindamycin and tetracycline resistance was only found in two cases (10%) each, and ampicillin resistance occurred in one sample (5%). One patient with S. sanguinis showed intermediate resistance to penicillin (14%). All of the resistant strains were found in patients with hospitalization in the previous three months. Twenty-seven patients received antimicrobial treatment with vancomycin (62.8%). In four of these (14.8%), the indication was hemodynamic instability, and in the remaining 23 (85.2%) the indication was isolation of Gram-positive cocci, which prompted empirical initiation of vancomycin. All of the strains were vancomycin-susceptible. During the 4-year study, VGS was recovered from 2% of the total positive blood cultures. Most authors have reported a higher proportion of VGS bacteremia in patients with cancer, whether with hematologic or solid neoplasias, ranging from 6 to 35%.5,6 While this may appear to be a low percentage, VGS bacteremia places patients with neutropenia at an increased risk for septic shock during a febrile neutropenic episode.6 VGS has been associated in 7–39% with septic shock syndrome (20.9% in our study) and/or acute respiratory distress syndrome, with mortality rate between 2% and 21%.2 In this series, overall mortality was 18.6%. VGS have been long recognized as difficult to identify at the species level using conventional microbiological techniques, and even with 16S rRNA sequencing.3,7 This has prevented authors from reaching definitive conclusions on the relationship between species and clinical manifestations. MALDI-TOF (matrix-assisted laser desorption ionization time-of-flight mass spectrometry) is a good alternative for identification at the group level and at the species level, with an overall sensitivity of 93% and 73.4%, respectively. It has been demonstrated to adequately identify S. anginosus and S. constellatus as well, but not S. intermedius.8 It can also misidentify S. mitis and S. oralis isolates as S. pneumoniae.7 Our Center acquired the MALDI system in 2013. In 2011 and 2012, the rate of VGS in blood cultures was 0.72% and 1.1%, respectively, half of the reported rate in this series. Patients with hematological malignancies often have concurrent risk factors that predispose them to bloodstream infections by Gram-positive cocci.9 Risk factors, such as mucositis due to chemotherapy, profound and prolonged neutropenia, increased use of long-term CVC, and antibiotic prophylaxis.9,10 have all been reported as predisposing for VGS bacteremia. Overall, CLABSI infections were the most frequent in our patients (n = 18, 41.9%). However, they can be easily misclassified due to overlapping criteria, as previously described,5,11 since the presence of VGS in the patient’s bloodstream is a microbiological criterion for diagnosing MBI-LCBI according to the Centers for Disease Control (CDC).12 In nine cases diagnosed as CLABSI, only one catheter tip confirmed the diagnosis; in five, the catheter tips were negative, and in three CVC were not removed. The others may have been underdiagnosed MBI-LCBI. Among VGS, S. mitis tend to be most prevalent in blood cultures from patients with oncologic diseases,7,14 as was the case in our study. The study by Shelburne et al. described S. mitis bacteremia7 in 118 patients at the MD Anderson Cancer Center. Primary bacteremia was the main clinical syndrome, found in 80% of patients, which is the same as the sum of CLABSI and MBI-LCBI bacteremia by S. mitis in our study population. In the Shelburne study,7 disease severity measured by Pitt bacteremia scores was highest for S. mitis infections (p < 0.01). Despite being correlated with higher rates of septic shock, S. mitis was not associated with higher rate of septic shock or acute respiratory distress syndrome in our study. The source for S. anginosus group infections is usually the GI tract. Siegman-Igra et al.15 reported 215 cases of S. milleri group infections and, similarly to what we found, the most common sources were the liver and other intra abdominal abscesses in 25% (35.7% of S. anginosus in our study). Twenty percent of patients with S. milleri15 developed sepsis with no infectious foci (42.9% among S. anginosus patients of our study). The study by Wenzler et al.16 found 18 cases (53% of 34 patients) with gastrointestinal source of bacteremia; therefore, sepsis without focus might have originated from an unidentified GI tract source. The 30-day mortality of patients with S. anginosus at the INCan was 18.6%, which is slightly higher than the in-hospital mortality in the Siegman-Igra15 study (35/215, 16%) and the 30-day mortality in the Wenszler16 study (4/34, 11.7%). Although less common, higher mortality in S. sanguinis infections (overall 42.9% of the seven cases) requires further investigation. To predict penicillin resistance, Shelburne et al.18 developed a clinical model that includes at least one of three risk factors as follows: current use of β-lactam as antimicrobial prophylaxis (p < 0.01); β-lactam administration in the previous 30 days (p < 0.01), and nosocomial blood stream infection onset (p = 0.02). In the four resistant strains isolated in our series, three patients had received a β-lactam antibiotic in the previous 30 days; one had an infection identified as nosocomial, and none of the three patients were currently on a β-lactam as antimicrobial prophylaxis. All VGS were identified in patients with hospitalization within the previous three months. It is important to note that Shelburne and coworkers did not demonstrate a statistically significant correlation between minimal inhibitory concentrations (MIC) and the risk of septic shock or respiratory distress syndrome. In the Shelburne cohort18 from 2000 to 2010, 70% of 569 patients received vancomycin, daptomycin, or linezolid as part of the empiric antimicrobial treatment, increasing to 96% in patients treated between 2011 and March 2013. However, only 25 of these 163 patients (15%) met the IDSA criteria for empirical use of such agents. At our Center, 27 (62.8%) patients received vancomycin, all of these with IDSA criteria. The use of new microbiological identification systems allowed the study of VGS bloodstream infections for the first time at our hospital. Although VGS overall prevalence is low, the diversity of clinical manifestations, the high frequency of complications, and the fact that these microorganisms are not covered, or even favored, by empiric antibiotic regimens, particularly in patients with neutropenia, highlights the importance of considering them as relevant emerging pathogens in patients with cancer. CLABSI was the most frequent source identified, but we found important overlapping in its definition with that for MBI-LCBI for these organisms. VGS are usually susceptible to penicillin, but β-lactam resistance has been described. Due to their competence for horizontal transfer of genetic material, as well as the increasing use of prophylactic antibiotics, treatment in high-risk groups might become challenging. Infections caused by viridans streptococci in patients with neutropenia. Editorial commentary: viridans group streptococci in febrile neutropenic cancer patients: What should we fear?. S. Angeletti, G. Dicuonzo, A. Avola, et al. Viridans group streptococci clinical isolates: MALDI-TOF mass spectrometry versus gene sequence-based identification. P. López Roa, C. Sánchez Carrillo, M. Marín, F. Romero, E. Cercenado, E. Bouza. Value of matrix-assisted laser desorption ionization-time of flight for routine identification of viridans group streptococci causing bloodstream infections. D. Tomlinson, L.A. Mermel, M.C. Ethier, A. Matlow, B. Gillmeister, L. Sung. Defining bloodstream infections related to central venous catheters in patients with cancer: a systematic review. Aetiology of bacteraemia as a risk factor for septic shock at the onset of febrile neutropaenia in adult cancer patients. S.A. Shelburne, P. Sahasrabhojane, M. Saldaña, et al. Streptococcus mitis strains causing severe clinical disease in cancer patients. K. Woods, D. Beighton, J.L. Klein. Identification of the ‘Streptococcus anginosus group’ by matrix-assisted laser desorption ionization – time-of-flight mass spectrometry. C. Gudiol, M. Bodro, A. Simonetti, et al. Changing aetiology, clinical features, antimicrobial resistance, and outcomes of bloodstream infection in neutropenic cancer patients. XY Han, M Kamana, KV Rolston. Viridans streptococci isolated by culture from blood of cancer patients: clinical and microbiologic analysis of 50 cases. S.A. Shelburne, A.-M. Chaftari, M Jamal, et al. Identification and characterization of catheter-related bloodstream infections due to viridans group streptococci in patients with cancer. Bloodstream Infection Event (Central Line-Associated Bloodstream Infection and non-central line-associated Bloodstream Infection). A.G. Freifeld, E.J. Bow, K.A. Sepkowitz, et al. Clinical practice guideline for the use of antimicrobial agents in neutropenic patients with cancer: 2010 update by the Infectious Diseases Society of America. A. Marron, J. Carratalà, E. González-Barca, A. Fernández-Sevilla, F. Alcaide, F. Gudiol. Serious complications of bacteremia caused by Viridans streptococci in neutropenic patients with cancer..
Y. Siegman-Igra, Y. Azmon, D. Schwartz. Milleri group streptococcus – a stepchild in the viridans family. E. Wenzler, V. Chandrasekaran, P. Salvador, M. Anwar, P. Pancholi, B.S. McGwire. Clinical and microbiological outcomes in patients with Streptococcus anginosus group bacteraemia identified through use of a rapid microarray assay. What happened to the streptococci: overview of taxonomic and nomenclature changes. S.A. Shelburne, R.E. Lasky, P. Sahasrabhojane, J.T. Tarrand, K.V.I. Rolston. Development and validation of a clinical model to predict the presence of B-lactam resistance in viridans group streptococci causing bacteremia in neutropenic cancer patients.